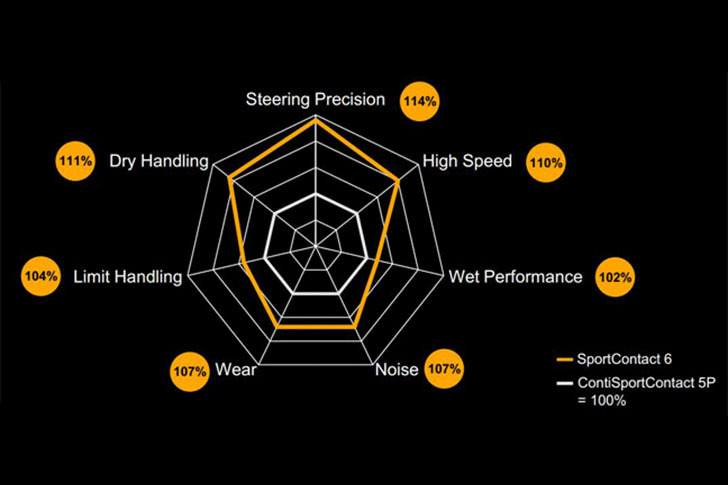 Seen as Continental is celebrating the launch of its new performance tyre, Sportcontact 6, we thought we would ask the head of tyre development Dr Burkhard Wies just what goes into the process of designing a new tyre. 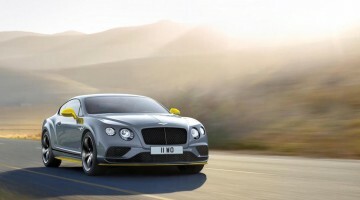 For Continental, its tyre line is just like a car model in that it is renewed every five years. Before anything, the design team has a strict structure in place in which it must adhere to. That structure is called C.C.C.P, which stands for contour, construction, compound and pattern. Firstly, the build of the tyre is considered. The company has invested heavily in thermal research, grip research, surface microstructure and how rubber reacts at different frequencies. “We have learned how the microscopics of a surface needs the stiffness of a tyre for road use, so not the slicks of F1, to cope with the unpredictable surfaces of our roads and the different conditions. “We also have an exclusivity of materials to our tyres, including aramite and nylon. Not only that, rubber has to keep its stiffness. A higher strain of rubber means high lateral cornering and precision steering behavior,” Dr Burkhard says. Additionally, a flat contour rubber will produce a much higher grip rate. With the new Sportcontact 6 it has gone for a classic approach in its pattern design. “We have gone for 56 big blocks with a microblock design. This means, there is a stiff outside block, with larger outside blocks, and a microblock middle. There are 86 microblocks to the middle so the inside has more lateral,” he said. More lateral is needed to the centre of the tyre to limit side movement. These tread grooves that run circumferentially around the tyre help to resist any force from the sides, creating maximum traction. The grooves are of an asymmetric design, further adding to grip ability. Production comes three years into the five-year cycle. “We try to simulate it as best we can three years into the cycle to give us an additional two of testing, to make sure we get it right. “For example, with this new tyre, our original launch date was February this year but we pushed it back to now as I just wasn’t happy – the compound just wasn’t completely perfect. 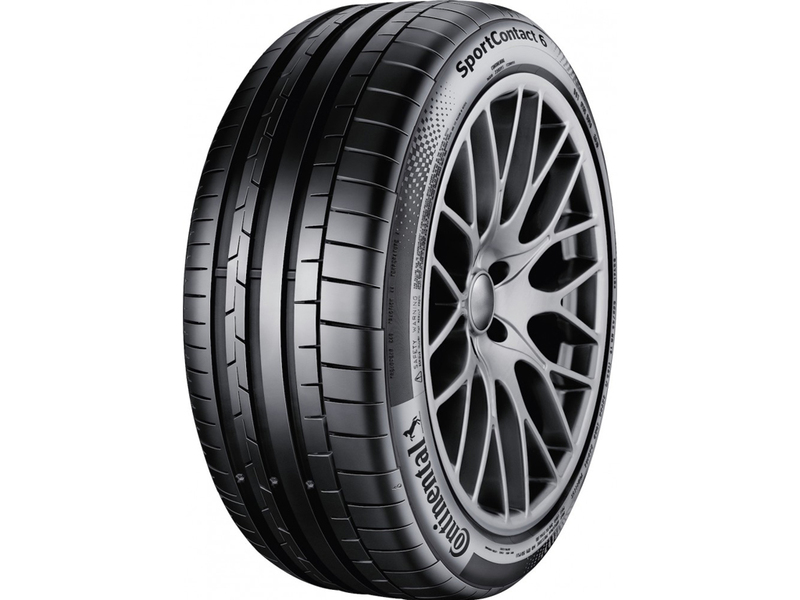 So, even though it’s a summer tyre, we are launching now,” Dr Burkhard added. 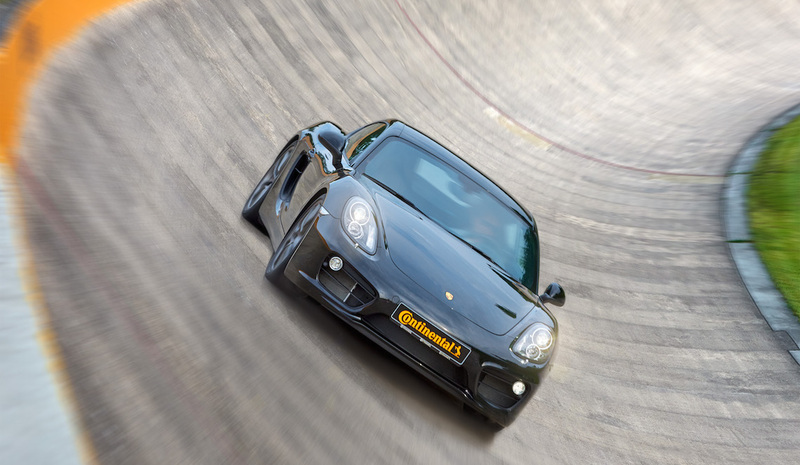 Under extensive testing at Continental HQ in Hannover, Germany, the company claims the new tires have shown that they can offer a performance boost of up to 14% and can perform safely at speeds of 350kph. Previous ArticleOPINION. 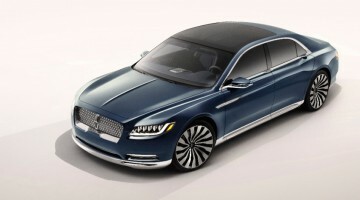 What next for Volkswagen?